When I first got sober, I started hearing all these little mantras about life and sobriety. At first many of them made me roll my eyes. I didn’t want to be sober, so I sure as hell didn’t want to hear people’s inspirational quips about how great their life was without alcohol. I was angry and bitter, and these sayings just amplified that anger and bitterness. Then something changed. Suddenly, without alcohol, my life was improving and these sayings started to make sense. They even started to resonate and I found myself thinking them or even repeating them out loud. Below I’ve listed some of the most popular sayings and some of my personal favorites. They may just seem like words at first, but here’s the thing – words are powerful, and even better, they’re a comfort in hard times (and sobriety is hard). They let us know we are not alone, that other people have felt and experienced the same things as us. And the best part? These quotes don’t apply solely to sobriety. They apply to life. You’ll hear this one a lot when people explain why they got sober. Being sick and tired is draining, and if that is how alcohol makes you feel, you probably have a problem. Normal drinkers don’t get sick and tired on a regular, almost normal, basis. They have control and are more self-aware. Problem drinkers almost always drink to the point of being sick and tired. And eventually that just takes too much out of you – you come to a point when you physically can no longer do it. You’re sick and tired of being sick and tired. This is perhaps my favorite saying of them all because of how simple yet complex it is. Think about it. If nothing in your daily life changes, nothing in the big picture will either. Daily habits need to be changed in order to make larger life changes – like sobriety. This may mean changing the people you spend time with, the places you frequent, etc. Otherwise you’ll be stuck in the exact same life as you were living before sobriety, which will make maintaining sobriety difficult (if not impossible). In other words, as long as you’re not moving backward, you’re doing something right. The end goal of sobriety is not to become a perfect person. It’s just to become a better person than you were before. This is a hard concept for perfectionists like myself, but once we accept it, life becomes so much easier and even more enjoyable. I’m not sure about you, but I definitely liked living life on my terms. I liked to be in control of what was happening, when it was happening and who it was happening to. But that’s just not realistic. I cannot control every aspect of my life – no one can. Life happens on its own terms and those events are rarely in our control. So many factors are at play and we would go insane trying to dictate them all. Instead, we try to learn to take life as it comes. We learn to accept what we can’t change and move on in a healthy manner. Ahhh, the ever-present “One day at a time” mantra – perhaps the most well-known of all sobriety related sayings. Sometimes this needs to be broken down even more – one hour, minute, or second at a time. But the idea is the same: taken one at a time, everything seems more manageable. 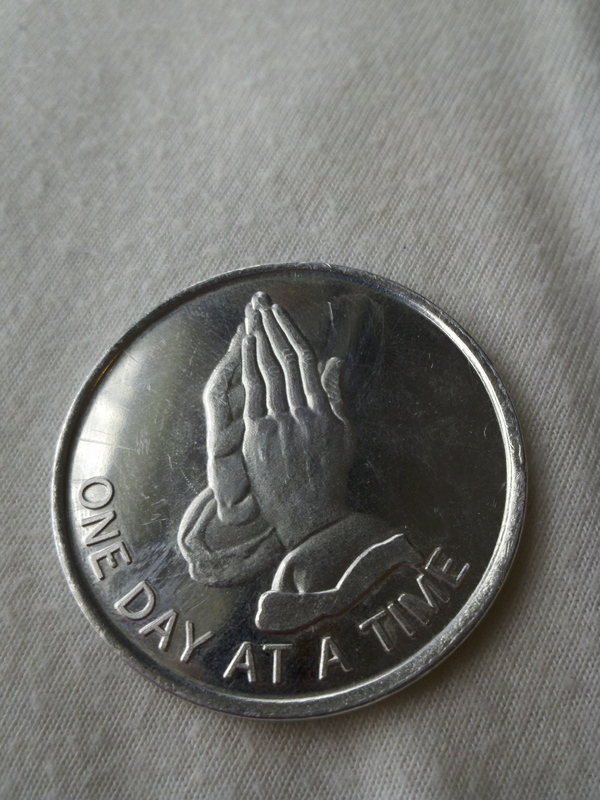 Suddenly one day at a time turns into a week, a month, a year of sobriety. What didn’t seem reachable becomes that way through approaching things one at a time. If you’re looking to start your life in recovery, call us today: 877.958.4942.